If there is one true and consistently important aspect of Search Engine Marketing ( S.E.M. ) it is that obtaining brand mentions, ethical organic backlinks, social buzz in your business niche and reputation building are vital in online brand building. Driving traffic to a new or existing website revolves around creating good content. "It really pays off." says the official Google link forum"
We drive digital performance for leading advertisers in all business industries. We are chosen by experts to work as a strategic partner to some of the World's leading brands. We work on boosting ranking with information that people will enjoy, appreciate and want to share. Most of our team work on our own 21 websites providing content each day. We are not brokers. We are originators of content and strategies to make it seen. We do work with business people to drive traffic when we are needed. We do the work ourselves using a network of selected writers living and working in local markets in many parts of the World. Our ethical link building service is based on creating custom niche business content. We create and promote content with references to our clients and place it on high quality websites to which readers can link to. It is seeding the referral and voting process that is our specialty. Essentially, we provide the infrastructure needed to tell stories about the great customers that we have, their products, events and services and news. Our News Feature Team is just one division of our business. That group provides the online marketing work for our clients once the content is prepared, edited and approved to go online. Social Media Marketing is used to amplify the message with likes, tweets and images buzzing around the internet. The core content approach that we used to become successful still is in play harnessing our capability and customer data to create rich audience responses from a content strategy based on original ideas. It all starts with listening. Every one of our clients is different. They have specific goals that led them to approach us for a quotation. If we are chosen, we move on to providing the client with a detailed written content and placement strategy. Once it is approved, we launch each campaign using all our networking skills. 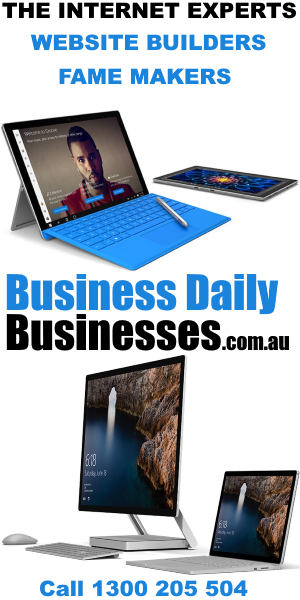 Our network ( including our own Businesses.com.au for Australian customers ) will, on the very first day, execute any content and creative business marketing plan and generate the linking interest that is needed to drive the core strategy. There are all sorts of metaphors used to describe distribution techniques like shotgun marketing where you advertise anywhere and hope that one in a hundred might be interested. The truth is that spending money on hit and miss advertising is not cost effective. We use traffic data to sensibly source space where your audience will be and where they will be motivated to make decisions. In that way, we ensure that your relevant content is positioned in the right place at the right time. We are not going to help you to sell Armani shirts at full price at the local flea market but you will if we place your brand in a boutique store in the foyer of a top hotel. Optimisation or Optimization for our American customers. The first batch of content will be more than a test. It will be first class and strategy driven. However, we don't just keep doing the same thing over and over. We constantly evaluate the effectiveness of the marketing we start to see that it is being taken up by the client's chosen audiences and meeting it objectives. We amend and alter the approach to do a better job next time. There is always a better idea to follow yesterday's best idea and from observation, we build momentum towards delivering more engaged consumers. We have "skin in the game" along with our clients. We care about how are services are performing as it is our reputation on the line too. We are not agents selling a service. We are the actual providers, so we always go beyond simply reporting numbers. We look for and expect results for our customers. Contact us by email Contact@RogersDigital.com or call 1300 205 504 to drive your digital performance.